American architect ASHER BENJAMIN (1773-1845) brought the influence of classical design to New England, and is hugely responsible for what we today consider the architectural charm of the region. He disseminated his ideas on elegance to ordinary builders via manuals such as this one, intended for local carpenters to use as a guide to imbue their own construction with a new elegance and urbanity. These guides were, as the evidence of New England's continuing allure itself demonstrates, wildly popular. This replica of the 1827 sixth edition of his classic work of architectural drawings and building plans, the first by an American architect, is complete with 70 beautiful plates illustrating everything from types of moldings, columns, and cornices to designs for friezes, door sashes, and other embellishments, as well as pleasing and useful floor plans for residences and public buildings. 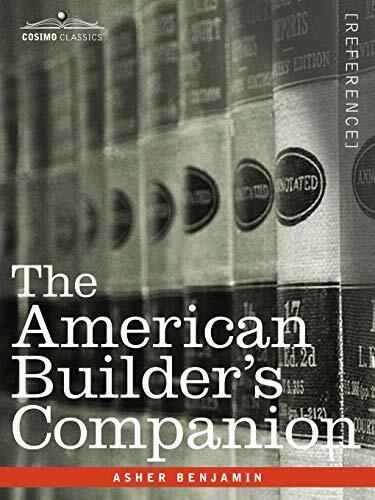 Part architectural primer, part do-it-yourself manual, this timeless work will delight students of architect, hobby carpenters, and anyone fascinated by fine design. American architect and author Asher Benjamin (1773&#x2013;1845) wrote seven handbooks on design that influenced architecture throughout the nation during the stylistic transition between Federal and Greek Revival.